Liz Carter Do oaks from warmer climates emit more isoprene? Monica Pocs Measuring landscape-scale CO2 fluxes using a high-altitude balloon platform. Othon Nunez Understanding the relationship between isoprene emissions and drought stress. Lauren LeStourgeon Understanding the physiological controls of leaf-level isoprene emissions. Lauren used leaf-level measurements of isoprene emissions to probe plant physiology with the goal of developing mechanistic models to predict future isoprene emissions under global climate change scenarios. In particular, Lauren explored the combinational effects of elevated carbon dioxide concentrations and leaf temperature. Lauren worked with plants in the greenhouse, and accompanied Dr. Potosnak to Alaska and Missouri. Agnes Kalat Source of lead in leaves from Lincoln Park trees. Agnes measured lead concentrations in leaves and compared them to soil lead concentrations. 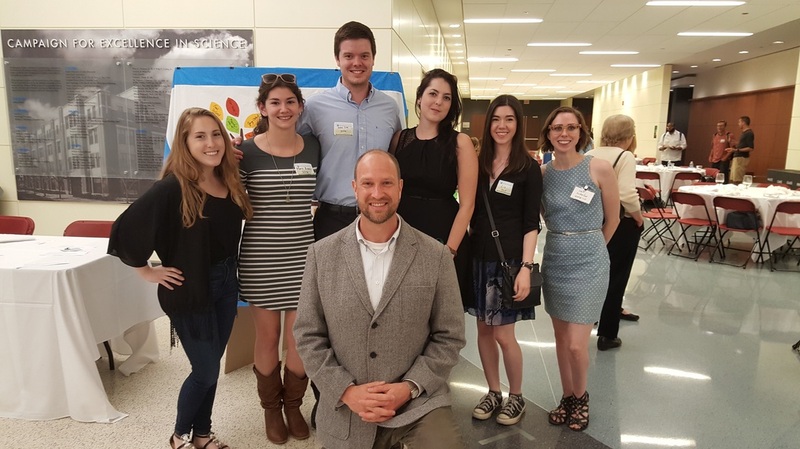 Zach Wahrenburg Measured plant metabolites that are relevant to isoprene production using the fast-kill apparatus of Thomas Sharkey at Michigan State University. Kathleen Roberts Urban carbon dioxide concentrations. 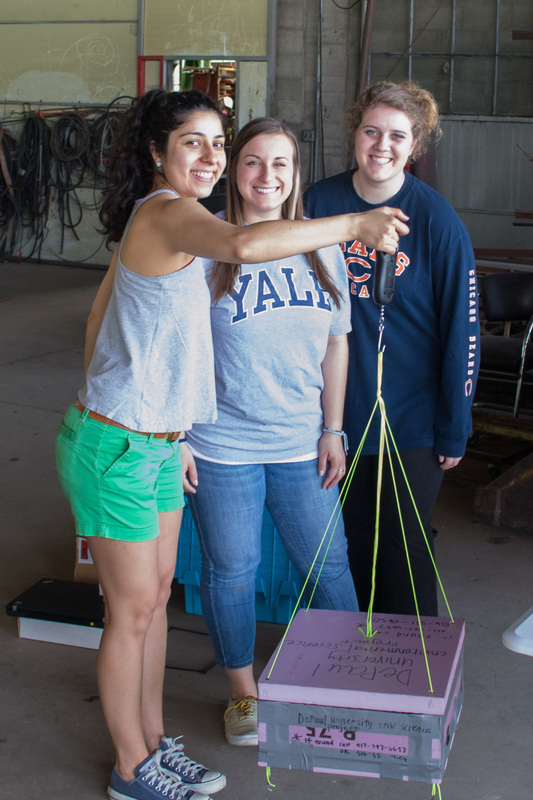 Katie conducted high-altitude balloon flights that measured vertical concentration gradients in carbon dioxide. This research was supported by the Illinois Space Grant Consortium. Amelia Menton Relationships between ground-based measures of canopy size (allometry) and metrics derived from Google Earth. Amelia was a minor in environmental studies. Marian Vernon University Hall power monitoring competition. Marian was an Environmental Studies major. She has been worked for several years to run residence hall energy competitions and used them to test hypotheses concerning environmental attitudes, beliefs and actions. Caitlin Schulze Effects of drought stress on isoprene emission rates. Cait conducted a series of greenhouse experiments with potted oak trees subjected to drought stress. She measured leaf-level rates of isoprene emission and explored their relationship to the plant's physiology.